Africa’s second-most populous country and an important United States ally in the fight against terrorism, Ethiopia is a regional powerhouse with grand economic plans. But it has experienced violent clashes for more than two years, with protesters calling for economic and political reform. Implementation of the government’s agenda has been slow, and tensions have escalated as the public’s patience has waned. 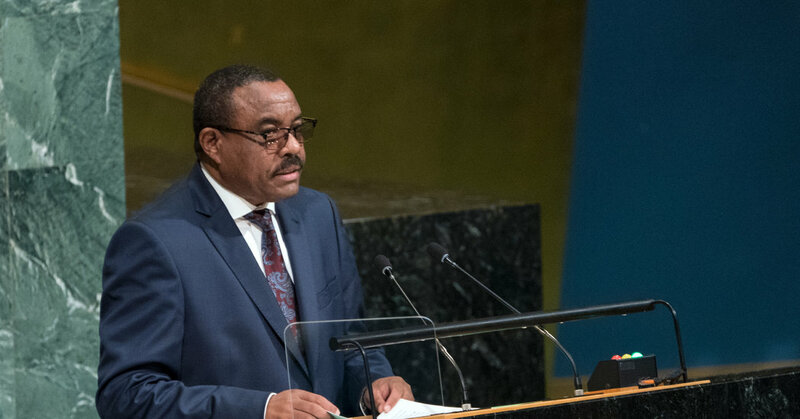 In a move many believed was designed to release some of that tension, Mr. Hailemariam announced in January that the country would free some prisoners, including opposition politicians. Several hundred were freed, but the government continued to hold some of the most high-profile prisoners, including the journalists and Mr. Bekele. Observers have said that the government’s reluctance to free prominent prisoners illustrated divisions within the ruling party over the release program specifically and of the march toward reform generally. “There are elements within the ruling party who don’t want to do that, who want to resist it at every turn,” said Hassan Hussein, an Ethiopian analyst and professor at St. Mary’s University in Minneapolis. The release of several prominent political prisoners was cause for celebration in Addis Ababa, the Ethiopian capital, on Wednesday. He said the government and members of the opposition, especially the political party of the Oromia people, had disagreed about the conditions for releasing prisoners. To accelerate the process, Oromia opposition members inside and outside Ethiopia called for a boycott on Monday. Shops and banks in the province of Oromia were closed, and those who did not join the street protests largely stayed home, residents said. Activists said as many as 20 people were killed. The boycott was officially canceled after Mr. Bekele was released on Tuesday, but Mr. Hallelujah said the protests had continued in many places. That is precisely what appears to have spooked the most powerful member of the four-party coalition, which has been facing down more than two years of demonstrations in the country’s most sensitive regions. The government cracked down against the protesters, and at least 669 people have been killed, according to the Ethiopian Human Rights Commission. The ruling coalition, which has run the country since 1991 and controls every seat in Parliament, is also fracturing from within. Two of its marginalized members, which represent the regions where the protests began, joined forces to contest the power of the coalition’s dominant member — an unexpected alliance of former enemies that, observers say, appears to be succeeding in challenging power. Mr. Hailemariam’s resignation appears to be the latest chapter in that political saga. “I think his resignation probably is because of those differences among the coalition groups,” said Girma Seifu, an opposition politician who was once the only lawmaker who was not a member of the ruling coalition. Mr. Hailemariam came into office in 2012, after the death of Meles Zenawi, whom Mr. Hallelujah described as a “bigger than life figure.” Mr. Meles had ruled with a heavy hand — and, some say, a micromanager’s scrutiny — since 1995. But Mr. Hailemariam gave little indication that he had either the wide-angle vision or the close-up attention of his predecessor. Mr. Seifu, the opposition politician, said the ongoing protests, and the government’s need to bow to some opposition demands in order to maintain its grip on power, were also signs of the prime minister’s weakness. “You could say the government is not enjoying the protests,” he said.